In the middle of San Antonio lays the Episcopal Diocese of West Texas where we spent our Saturday sewing. I assure you it is quite the oasis, filled with amazing architecture, landscaping and generally stunning craftsmanship. It set the scene for a serene day of sewing with the wonderful Latifah Saafir. Not only was Latifah delightfully charming, but she provided the SAMQG with many new tricks and tips to use on her Molehill Quilt pattern. 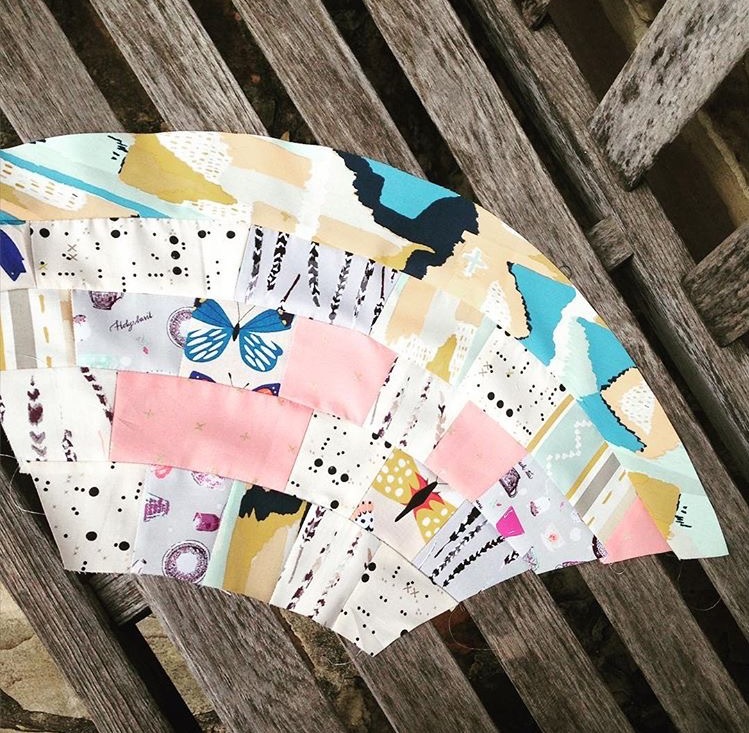 The Molehills Quilt pattern was inspired by the tiles in Los Vegas and has many different options to achieve either a tiled look or layered hills. Sewing curves can be rather an intimidating challenge to even seasoned quilters. Her piecing technique uses no pins and no glue basting. The tile work can be paper pieced-or not! After sewing the first molehill everyone was quite comfortable with her technique and we started cranking out blocks (Are they blocks if they’re actually curved? Something to think about!). Latifah really stressed that it was a flexible pattern and for us each to find our voice in the quilt. Our class was small but there was such a diversity of ideas. Loretta was pieceing old ties into her molehills, Allison choose to focus on a red and white theme, Sarah Gregg pieced each like tiles, and Kelli used bright, fun fabrics. Everyone got a great start on their quilts but all blocks must be made before it can be pieced together. So alas, there are no fancy finished pictures of our group's projects. We couldn’t have had a better, more relaxed time with Latifah and hope she will hurry back to San Antonio to teach us her bias tape techniques.